Libera, the celestial-sounding, chart-topping boy choir, recorded a live concert for CD and DVD in Washington DC at the spectacular Basilica of the National Shrine of the Immaculate Conception. 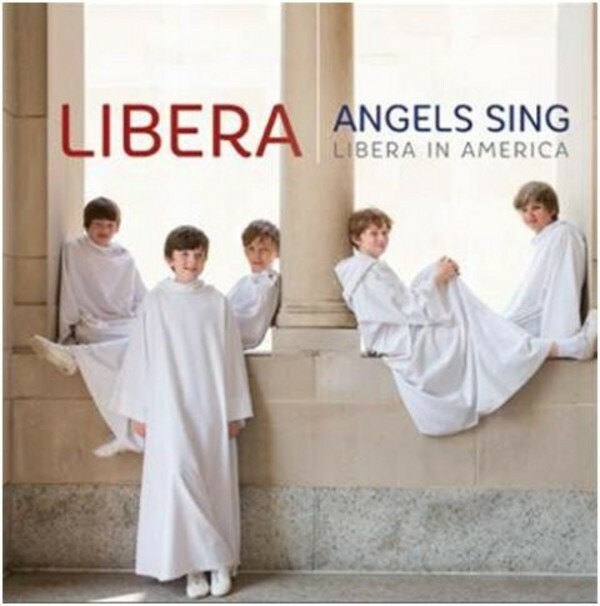 With Libera in America, the young Londoners pay tribute to their host country with a characteristic blend of sacred and secular music in both the classical and popular traditions, bringing together innovative textures, meditative solos and shimmering, ecstatic choral harmonies. The young, pure-voiced singers of Libera have come a long way from Norbury in South London, where many of the boys sing in their local church. Following the huge success of their 2013 album Christmas in Ireland, they have crossed the Atlantic for this new CD and DVD/Blu-Ray: 'Libera in America'. The US capital of Washington DC was the location for the live concert recording, made at the spectacular Basilica of the National Shrine of the Immaculate Conception, the largest Roman Catholic church in North America. Built in the grand Romanesque-Byzantine style, it is in fact one of the largest historic churches in the world, seating 3,500, and houses an unrivalled collection of contemporary ecclesiastical art, including splendid, gleaming mosaics in its domes. Guided by their music director Robert Prizeman, the 40 boys of Libera let their voices take flight in atmospheric arrangements of religious and secular music. The album opens with Joyful, Joyful, We Adore Thee, based on Beethoven�s 9th Symphony, and among the inspiring choral gems that follow are some of Libera�s greatest hits � including Sanctus (from Johann Pachelbel�s famous Canon) and Song of Life by the Japanese composer Takatsugu Muramatsu. The programme includes such universal sacred favourites as Amazing Grace and Schubert�s soaring Ave Maria. Wayfaring Stranger, the American folksong popularised around the world by the likes of Johnny Cash and Eva Cassidy, also features, as does the uplifting What a Wonderful World, a huge hit for the great Louis Armstrong in 1967. Libera also play tribute to their host country with the anthemic America the Beautiful. A special feature of the DVD is a documentary, 'Libera in Washington � Behind the Scenes', showing highlights of the tour both on and off stage from the boys� perspective.